We’ve just launched four new sets of our exclusive Thin Cuts metal dies! 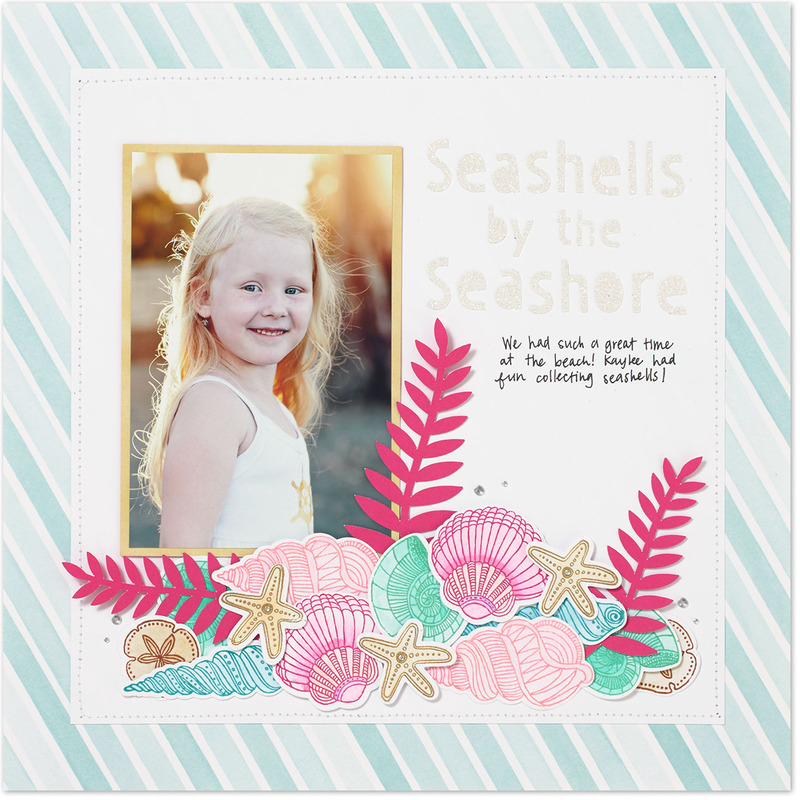 These new Thin Cuts coordinate with four stamp sets in our Annual Inspirations idea book: My Acrylix® School Kids, My Acrylix® Wreath, My Acrylix® Sweet Birthday, and My Acrylix® Swirly Seashells. The great thing about our Thin Cuts is that they save you so much time—no more fussy-cutting! They also make it SO much easier to cut duplicates of the same shape. Here is some artwork to show you what we mean. Adorable, right? 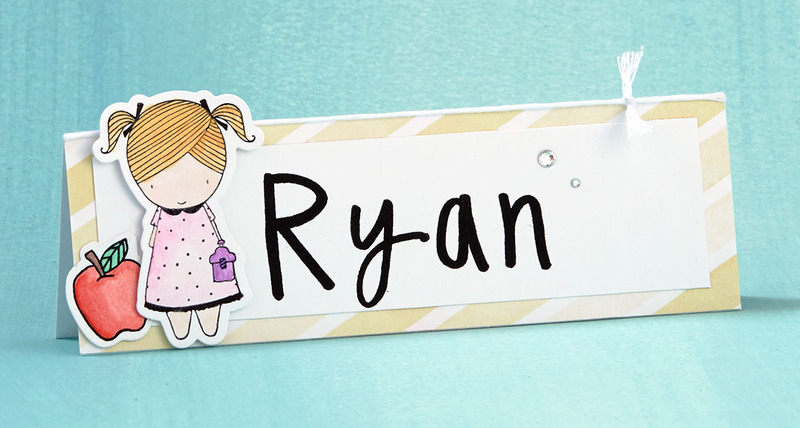 We absolutely love our My Acrylix® School Kids stamp set, and with the new coordinating Thin Cuts, you can make lots of these cute little kiddos in no time. Don’t they just make the most adorable student name cards? 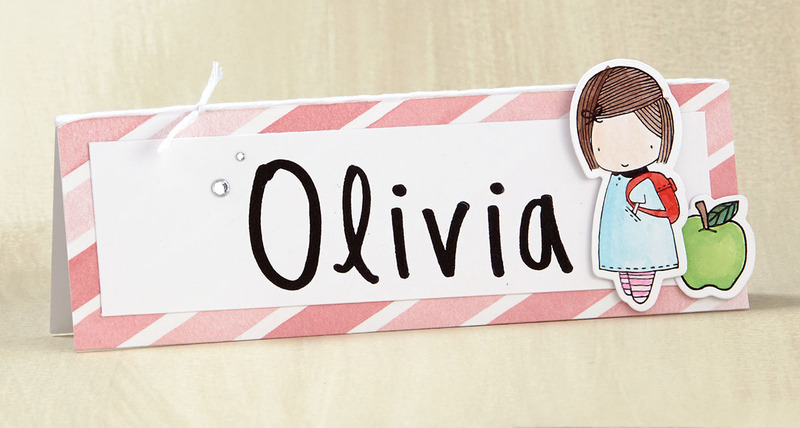 If you’re a teacher, these Thin Cuts could give you a fast way to decorate name cards, cubbies, and more. You can color in your students’ miniature look-alikes—or get your students in on the fun! Creating duplicates of the same shapes also comes in handy when you want to really deck out a scrapbooking page. Here we used the Swirly Seashells Thin Cuts to make all these little seashells. Since we didn’t need to spend nearly as much time trimming out the seashells, we had more time to add beautiful watercolor details to them instead. We’ve shown you artwork made using two of the four new Thin Cuts sets, and given you just a small taste of the possibilities! Check out our promotions page to learn more about this limited-time offer! I want to order,i need a local demonstrator or can i order online? Terri – you can order online from http://www.closetomyheart.com.au/default.aspx – pick your preferred country if they have redirected you to one that you are not in. CTMH will make sure that your order will go to a demonstrator that is near you. Hi Terri, you can purchase through any Close to my Heart consultant, myself included. Or… go to the CTMH web site and it will help you find one close to you. Let me know should you need more assistance. Hi, Terri! Just like Juli and artymaz said, you can go through a Close To My Heart Consultant or to closetomyheart.com and you will choose one to assign the sale to at checkout. 🙂 Happy shopping! Such cute ideas, I cannot wait for mine to arrive. We’re glad you like them! Thin Cuts are so much fun!